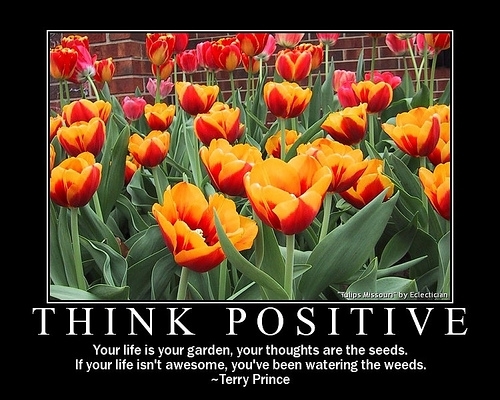 Think Positive. think positive. Wallpaper and background images in the The Secret club tagged: positive thoughts verse image fan art. This The Secret fan art contains vườn cây sen cạn, cải xoong indian, tropaeolum majus, vườn nasturtium, cress ấn độ, indian cress, iris râu, beardless iris, michigan lily, and lilium michiganense. There might also be trúc đào, hoa hồng bay, nerium oleander, cây đào, vị hoa hồng, cây hắc mai nerium, and hồng bay.